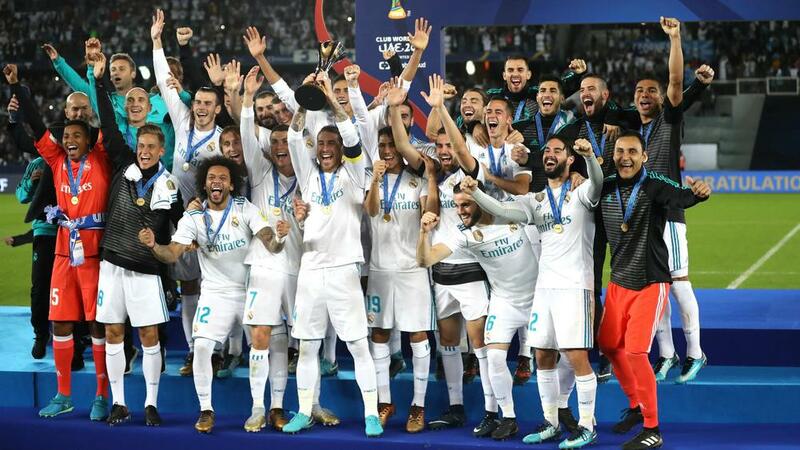 The three-time reigning Champions League holders will face the champions of Asia or CD Guadalajara in the semi-finals of this year's Club World Cup. Real Madrid will meet either Chivas Guadalajara or the winners of the AFC Champions League in the Club World Cup semi-finals. Julen Lopetegui's side, looking to win the trophy for the third year in a row, will begin their campaign in the United Arab Emirates on December 19. Mexican side Chivas, who beat Toronto in this year's CONCACAF Champions League final, will face the champions of Asia on December 15. 🔀🌐 We will face the champions of Asia or CD Guadalajara in the semi-finals of this year's Club World Cup! The winner of that match will then take on Madrid four days later at Zayed Sports City Stadium in Abu Dhabi. The other semi-final will see the Copa Libertadores champions face the victors of the second-round match between the CAF Champions League winners and either Al Ain or Wellington. Madrid are aiming to win the Club World Cup for what would be a record fourth time in 2018.